Greenway Plaza is located near the Southwest Freeway. 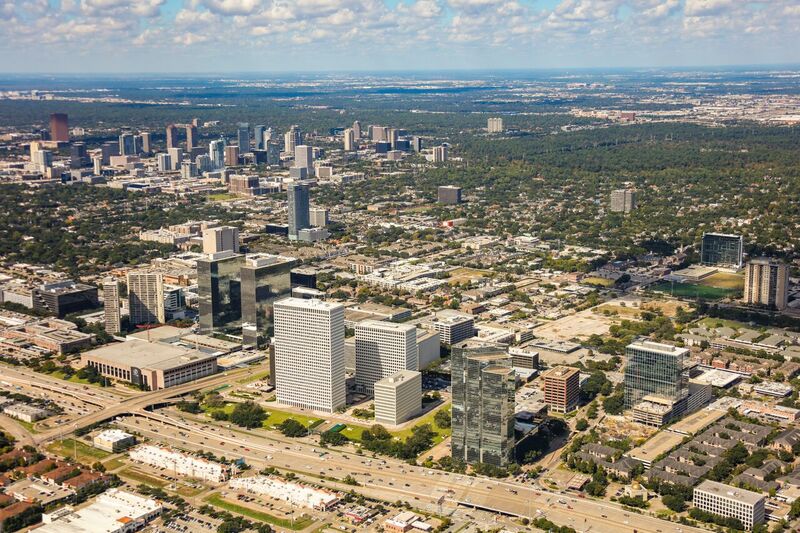 HOUSTON – (Realty News Report) – An eight-level parking garage with 600 spaces will be built adjacent to the 34-story Phoenix Tower in Greenway Plaza near the Southwest Freeway at Buffalo Speedway. Construction will begin before the end of the year and be complete in late 2019, according to Greenway Plaza operator Parkway Property Investments, LLC. The new 247,000-square-foot garage annex will adjoin Phoenix Tower’s original eight-story garage and also provide direct, covered access to The Hub, the restaurant and amenity core of the Greenway Plaza complex. HOK is the architect for the project. Kimley Horn is the project engineer. “This initiative not only aligns parking accessibility and convenience with the rest of Greenway Plaza, but also continues to foster connectivity across the complex,” said Mike Fransen, Parkway’s Chief Operating Officer.